American actress Jennifer Garner is thrilled to be dating new boyfriend John Miller. 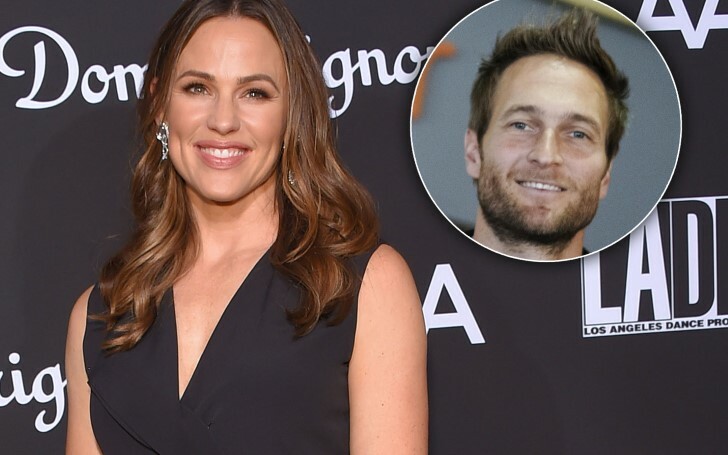 The 13 Going on 30 Hollywood actress Jennifer Garner appears to be incredibly happy with her new love interest John Miller, who unlike her former actor partner, is an ordinary guy. A source close to Garner told Hollywood Life revealed the actress couldn't be more thrilled to be dating someone who is not from the entertainment industry. Clearly, Garner is really happy to be dating a normal guy. Despite successfully being a part of the Hollywood career, the 46 years old actress does not see herself as a big celebrity which can be one of the main reasons she couldn't be happier to be dating a normal man like Miller. Following her divorce with the former spouse, Ben Affleck, John is the first man she approached to see as her new potent love. And Jennifer eventually did receive all the love she expected from Miller. "Jen Garner is extremely happy dating boyfriend, John Miller. John makes Jen feel great, but what she really loves about him is he is normal and not in the industry." Obviously, Jennifer not preferring the celebrity lifestyle can be considered one of the reasons why she keeps her children away from the limelight. Likewise, Jessica is not seen much with John in public either. One of the last and few times the couple got spotted together was during their pre-Chrismas party celebration last year. "That’s really who she is. Jen rarely even puts on makeup to leave the house. She’s so not tour typical LA celebrity." Affleck, Garner's ex-husband seems happy for her new relationship with Miller as well. In fact, the actor even approved of their relationship and claimed he is happy that Jennifer found someone new since their divorce in October last year after three years of separation. We are glad and happy about Jennifer finding a new romance too. Meanwhile, Jennifer's current love partner, John Miller is the CEO and chairman of a Cali Group that owns a chain of 50 CaliBurger restaurants. We wish the best in the future for this lovely duo!